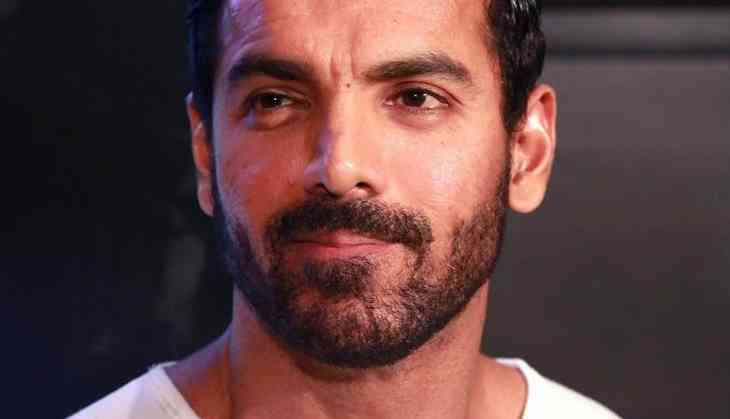 John Abraham believes action heroes are the biggest movie stars and the actor says Bollywood needs to come up with more such icons. The 45-year-old actor, who was last seen in action thriller "Parmanu: The Story of Pokhran", also praised Tiger Shroff for his dedication to the genre. "I think the biggest stars are action heroes. Look at Bruce Willis, Arnold Schwarzenegger and Dwayne Johnson. Action stars will always be evergreen. "In our country, apart from me, there is Tiger Shroff who is doing great action. At the moment, two of us are doing action films. We both have different styles. There is a place for more action heroes but there are only two of us," John told PTI. The actor has action films such as "Dhoom", "Force" and "Dishoom" to his credit. He is grateful to the audience for accepting him in this avatar. "The expectations excite me and I seek to do crazy action sequences. It is a positive responsibility on me. I wanted to be an action hero. There are some heroes who like dancing and I like fighting, lifting people and breaking bones. I enjoy it." John has a string of action films lined up for release, starting with "Satyameva Jayate". The film is scheduled to release on August 15. Next up are "Romeo Akbar Walter" and "Batla House". But the actor says doing films in the genre is not a "conscious decision". "It is just that all these films are coming at the same time. What I am missing right now in my life is doing a comedy and I love doing it. I am a big fan of Anees Bazmee, I like David Dhawan also... I loved working with Rohit Dhawan," he adds. Talking about his Independence Day release, John says it is great to reteam with his "Shootout in Wadala" co-star Manoj Bajpayee. "In 'Shootout at Wadala', our characters came from a criminal background. But in 'Satyameva Jayate', the film is about a cop and a killer... Whatever the audience has yearned for they will get to see it all now," he says. The actor says he recently started shooting for director Robbie Grewal's "Romeo Akbar Walter" and the filming is expected to be completed by August end. "It is one of the most intriguing subjects I have heard. It is the most challenging film I have done in the recent past," he says. John will then start work on "Batla House", loosely based on the fierce encounter that took place in September 2008 between a group of terrorists and the police in a flat in Batla House, a locality in Delhi's Jamia Nagar. In "Batla House", John will play the role of police officer Sanjeev Kumar Yadav. He says he will meet Yadav to prepare for his role.